Lead, Nickel & Cadmium Free! 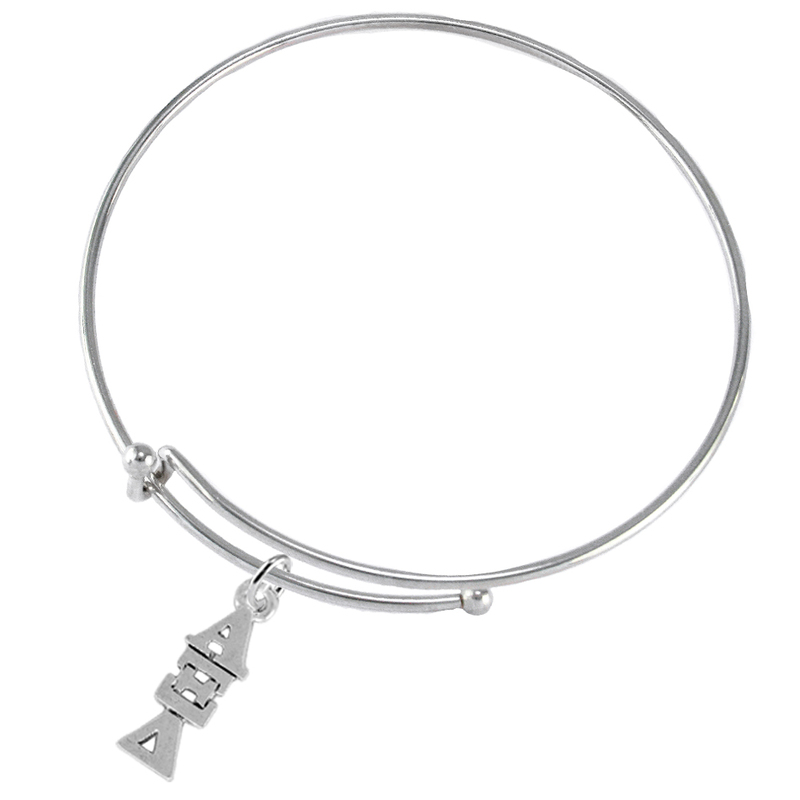 Bracelet Suspends Detailed Silver Tone Greek Letter Alpha Xi Delta Sorority Mini-Charm. Comes On An Adjustable, Thin, Solid Wire Bracelet. Charm Measures: 1/2"h x 1/4"w.